Bailiffs can be one of the biggest worries if you are in debt. The potential threat from a creditor can leave you fearing what could happen if they send bailiffs round. The biggest problem many people have is that they do not understand bailiffs, so it is fear of the unknown. If you have been informed that bailiffs have been instructed, or you are worried that you may receive notification, then there is no need for you to panic, but you do need to act as quickly as you can. For more detailed information about bailiffs, then please click here However, here are five of the most common questions that we get asked. 1. Can a bailiff force entry? The answer to this all depends on the type of debt they are collecting and whether they have visited before. If they are collecting an unpaid County Court Judgment and this is their first visit, then they cannot force entry. If they have gained peaceful entry before, are collecting unpaid fines of a criminal nature, VAT or entering a commercial property then they can force entry. 2. Can a bailiff take items from my home? A bailiff will not take items on their first visit, they must make a list of what they intend to seize and sell. The value of goods must amount to the debt and their fees. They cannot take items such as clothing, bedding, household equipment or anything that satisfies a basic domestic need. 3. Can a bailiff taken items that belong to my family? A bailiff can only take items that belong to the person who owes the money. They cannot take any item that belongs to a family member or your children. They cannot take items such as clothing, bedding, household equipment or anything that satisfies a basic domestic need. The bailiff may need to see proof of ownership if you are stating the goods are not yours. 4. What will happen if I am not home? If you are not home then a bailiff will attempt to gain peaceful entry, if a family member is in, and may force entry if collecting unpaid fines of a criminal nature, VAT or have been before. 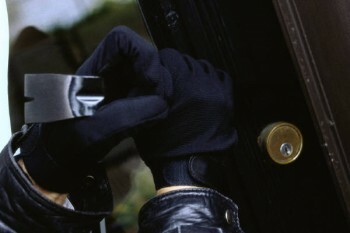 If it is their first visit and they are unable to force entry they may look through your windows to make a list of goods they intend to seize and will leave a letter to say that they have attempted a visit. 5. Do I have to pay the bailiff? A bailiff will require a fee payment for seizing goods and making the payment to your creditor. This fee is taken from the goods they seize and you will not be asked to pay this fee upfront.